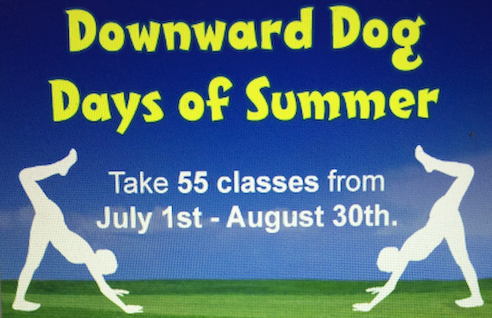 The Hot Yoga Spot is excited to host our second annual Downward Dog Days of Summer contest. The rules are simple and the rewards are sweet. Take 55 classes during the months of July & August to receive 10 free sessions to be used in September and a limited edition tank top. We host this annual contest every summer because it is the perfect way to stay motivated and fit during the warmer months. You can attend class and participate at all five locations. There is no need to register in advance or fill out any forms. Simply send us an email once you have taken your 55th class in August. We will review your account and reward you with your prize.